I was studying at an international university in Japan in Spring when the weather was perfect for travel. Many students from all over the world at my school invited their friends and family to come see Japan and they came in droves. I also wanted to reunite with someone from my family and show them the Japan I had fallen in love with. My mother and father said they were busy with work, so they said, but I think there was another reason they did not want to come since they both had vacation time from work. Nonetheless, I still had a slim opportunity to invite my twin brother. Why were all the other families coming to Japan, but I was having such a hard time to convince just one member of my family? Well, in reality, I guess it shouldn’t be too hard to interest someone in Japan. A unique style of art, martial arts, food, business, religion, architecture, history, government, music, etc. should allow nearly everyone an opportunity to find something worth exploring. Still, we are missing one crucial fact about having a family member come to Japan: the money. In other words: it ain’t cheap. I worked hard to find some scholarships for school while also finding some ways to make money in Japan. I had enough money to pay for hotel, food, transportation and basically everything, except covering my brother’s airfare to Japan, which he paid for himself (see John Asano’s article on GaijinPot for tips for cheap airfares http://injapan.gaijinpot.com/play/travel/2012/08/10/find-cheap-flight-deals/). My parents did not want him spending that much money on a trip, but since they knew I would be paying for it in money I earned, they relaxed a bit. But it wasn’t cheap. If you can’t tell by now, my family is a little too bargain-friendly. But for how much the trip costs, it is worth looking for some ways to save. Searching for cheap hotels, eating out less, and staying at friends’ houses are common ways to save in Japan, but often your airfare and your domestic transportation are your biggest costs. Hotels are, of course, a concern, but there are many options, and you could even book a flight and hotel package, so I don’t want to tread too much on that. I wanted to show my brother the best Japan, or at least parts of Tohoku where I live, Tokyo, Osaka, and Kyoto. It would have been nice to do more, but even using a JR pass for the almighty bullet train still means at least half a day to travel across the country. So I had convinced my brother to come and we took a mix of trains, bullet trains, and buses and managed to have a pretty good time. It wasn’t too hard on the wallet, but it required loads of planning and cups of green tea throughout the nights. I kind of wish I had held out for him coming later now because ANA (All Nippon Airways) has an awesome airfare campaign for tourists that allows you to travel on any domestic flight for just 10,500 yen, which is less than $135 at current exchange rates!! It’s good until late October (here’s the link https://www.ana-cooljapan.com/#/japanfare?cid=INT12080003). This is an excellent deal as it is incredibly cheap and planes are faster than the bullet train. So in my situation and I imagine many others, the way to persuade a family to come to Japan is through money. That means you may have to pay for them or keep an eye out for cheap or package deals. An annoying part of having any friends or family that come to Japan means you’ll have to show them Japan. Duh, right? This means you’ll be doing a large part of the planning and of course being the 24/7 translator. Even if you know just a few words of Japanese, that is probably much more than your invited family member will know. This can be time consuming and quite exhausting actually when a family member shows up and expects you to do everything just because you live in the country. I found bus tours or group outings great because I just had to pay, got free information and transportation from the tour guide, and got to relax between stops on the tour. 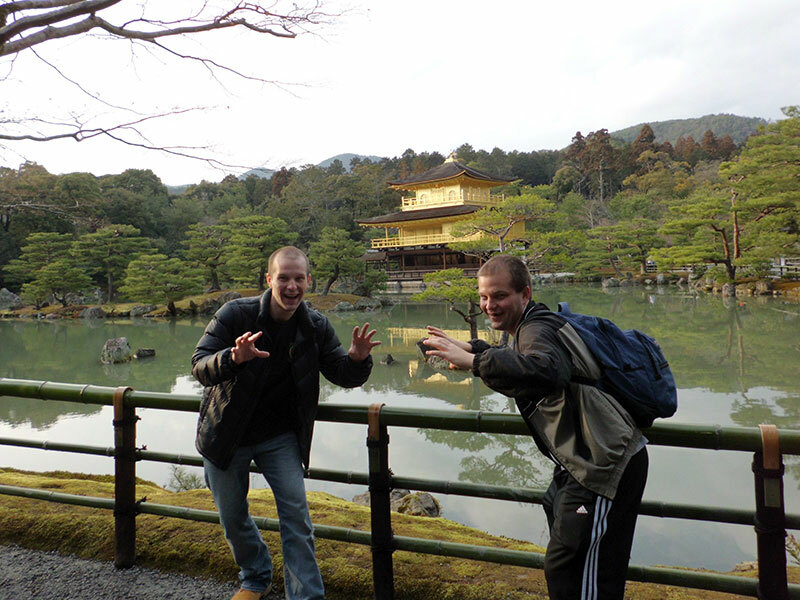 All in all, my brother didn’t absolutely love Japan. He didn’t care for some of the food, wasn’t happy with the crowded parts of the bigger cities, and really did not “get” Japan. But still, he said it was a memorable and great trip. More importantly, I felt I got to share a place I can call my second home with perhaps the closet member of my family. To me that was the lasting memory and feeling of satisfaction I received from our trip. So have you had trouble convincing people to come to Japan? What was the reason? Is money a primary factor or I am full of sushi and this is an individual experience? 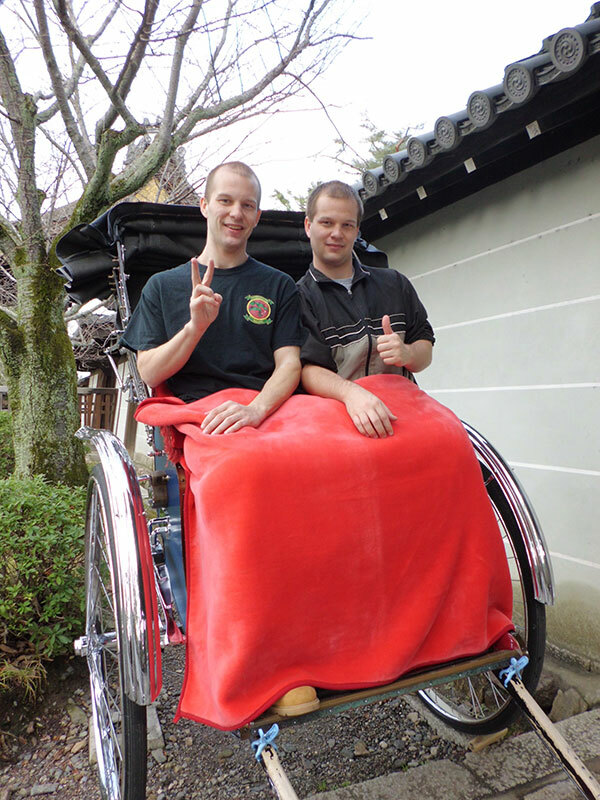 Oh, and compliments for pics of twins in Kyoto are appreciated. Share Japan and good luck persuading. At least your brother got to experience it to say that he is not in love with Japan. I would like to go to Japan as well as my family. The problem is time and especially financial funding to be able to travel. Even if someone is not interested in a culture, I feel that the person should at least be open-minded about it if he or she has the financial means to travel and experience. I also believe it can be overwhelming to see experience something new that a person is not accustomed to. Probably it’s a bit intimidating for them to come to a country they knew nothing about and have absolutely nothing in common. Vacationing to a place where you don’t understand the language or culture, it can be a pretty daunting experience.